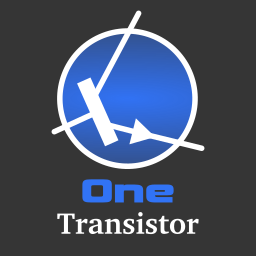 To install this device on Windows, get the AverTV Volar HD Nano Windows drivers and install them. 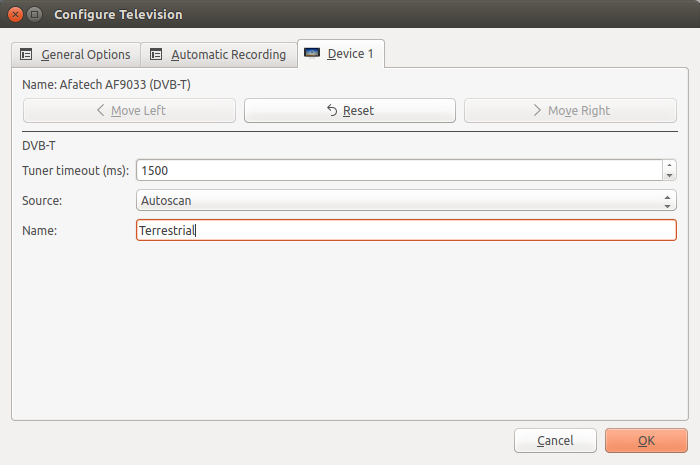 Do not waste your time to install the default TV viewer application, because it does not detect the device. All you need is the driver to be able to use any other application like VLC, ProgDVB, SmartDVB etc. Launch the corresponding driver installation file and wait for the driver to install. Plug in the USB key if you didn't. Open Device Manager and locate A867 device. Although you install the drivers, they will not apply to this device because of different device IDs. While AverMedia A867R device has Product ID = 1867, Sky Digital Key has Product ID = A867. You could edit the driver file and change this ID, but you will lose digital signature of the driver. So, the best way is to force the driver installation. 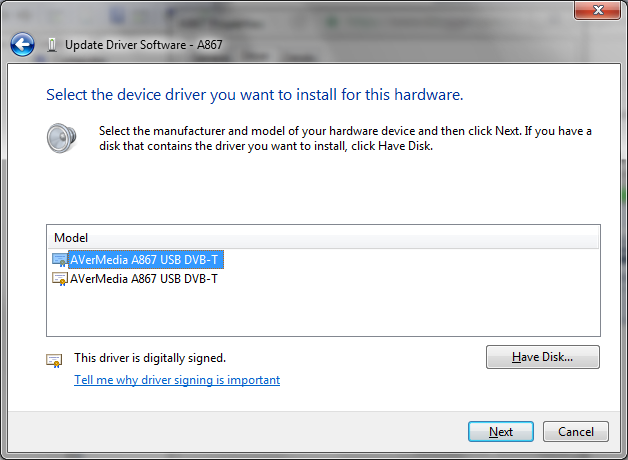 Right click A867 in Device Manager, go to Driver tab and click Update Driver button. Select Browse my computer for driver software, then Let me pick from a list of device drivers on my computer. In the list that appears select Sound, video and game controllers and click Next. 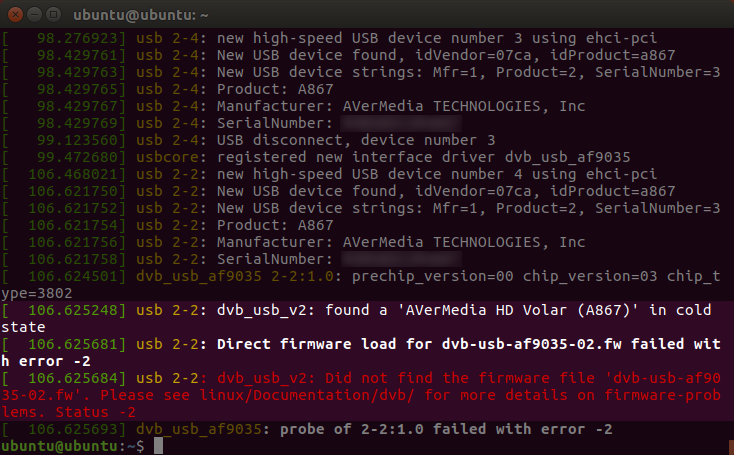 Locate AverMedia TECHNOLOGIES, Inc. and look for AverMedia A867 USB DVB-T device. If you can't find it, click Have Disk and browse to C:\Program Files\AverMedia\AverMedia A867 USB DVB-T folder. Select AVer1867_AVerIR_OBM.inf file. Click OK. Now you will have the device in the list. Click Next then Yes in the warning message that appears. Windows will also install InfraRed drivers for this device. That is OK. The USB tuner is now working and usable. I've successfully used it with ProgDVB software. 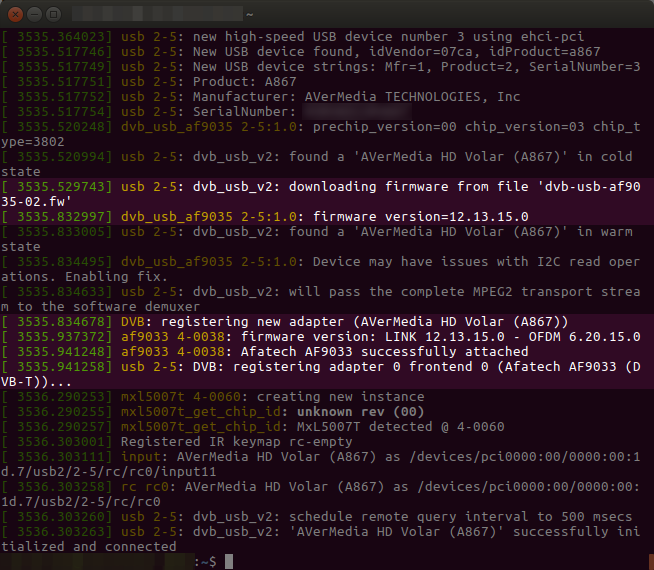 The good part on Linux is that the kernel already comes with a module for this device: dvb_usb_af9035. The problem is that, in order to work, AF9035 demodulator needs a firmware that is transferred to it via USB. The Windows driver automatically does that when you plug the device. Linux module would also do the same, yet there are two kind of issues that may arise. Plug in the USB tuner, open a terminal and run dmesg. Look at the end of the log, where it will display debug messages about the newest kernel activity - a new USB device plugged in. I've seen this on Ubuntu 16.04 LTS. The kernel was trying to download the firmware for IT9135 into AF9035 - the devices are similar and work with the same kernel module, yet the firmwares don't match. If this is the case, you will see in the dmesg log that the firmware couldn't be downloaded because of a checksum mismatch. 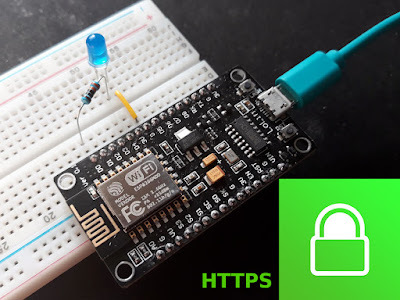 Rename the existing firmware and follow instructions from No firmware section. On Ubuntu 16.10 things changed. The updated kernel with new module tries to load the correct firmware. The problem is that firmware does not exist. You can download firmware from Antti Palosaari website. There are multiple firmwares available. Run the command below in the terminal to download and copy firmware to /lib/firmware folder. The tuner is now ready to use. One simple application is Kaffeine. Launch it, select Digital TV. Go to Television menu and choose Configure Television. Depending on the DVB devices connected to your PC, a new tab will appear in that window. You will recognize it by the name: Afatech AF9033. Select Autoscan source and click OK.
Now, go to Television menu and choose Channels. You can scan the entire frequency band by clicking Start Scan. 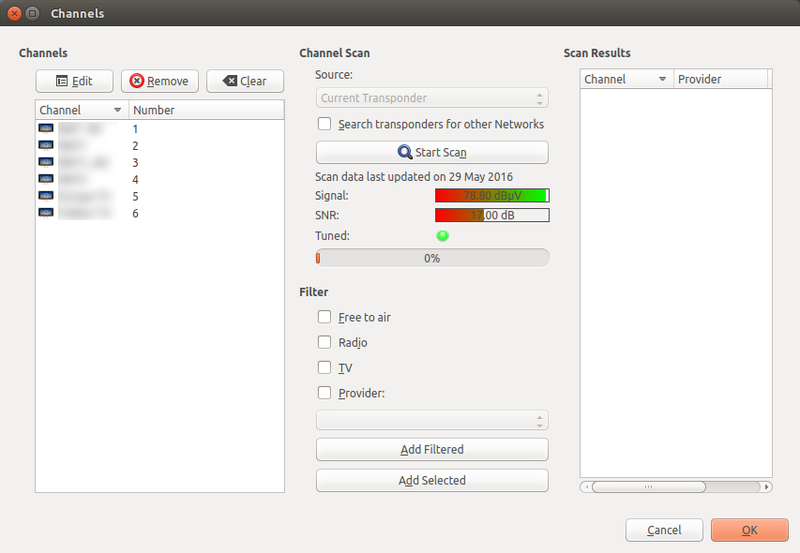 After you finish scanning, you can view signal on tuned transponder (channel) and rescan it if you want. You can also use VLC to watch TV on both operating systems. The disadvantage is that there is no signal indicator and no channel search function.